How to train your brain! The brain, like any other part of your body, needs exercise to stay fit and perform well. Just like physical games strengthen your muscles, mental games help to strengthen your brain and prevent cognitive degenerative diseases, like Alzheimers and Dementia. And they will definitely provide hours of fun and relaxation, leaving you with a feeling of satisfaction and achievement when you have completed a puzzle or made the LONGEST word in Scrabble! Some of the old favourites are still the best: Scrabble and crosswords are great for improving spelling and vocabulary, and for learning to think strategically before you make your moves. If you like numbers and patterns then give Sudoku a go. It’s highly addictive and can be a great way to unwind. Here are some Memory and Logic games that you can enjoy on your own or with friends, and which will definitely keep your mind active! • Take a deck of cards and remove all the diamonds and clubs. 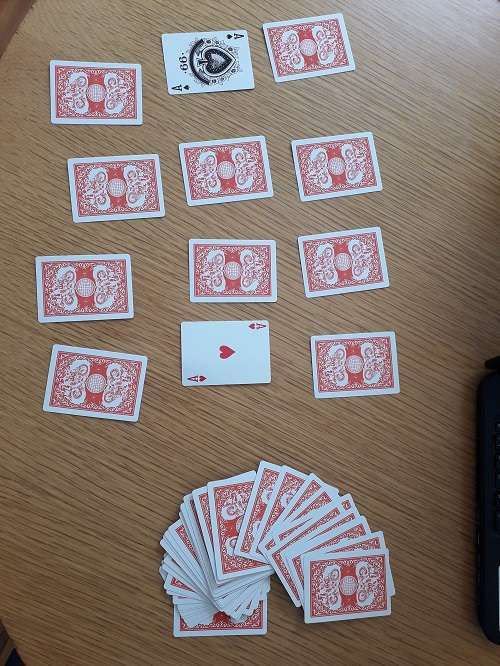 • Flip the cards over two at a time and try to match the cards. • Anytime you match 2 cards remove them from the table. • Try to clear the table in as few turns as possible. 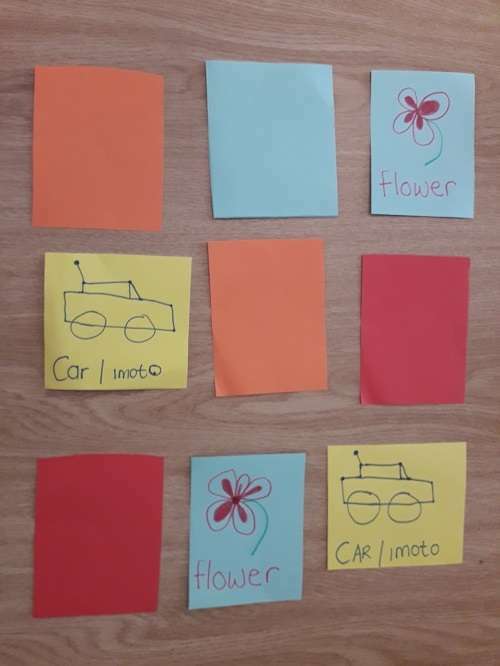 *You can make your own ‘picture cards’ to play the same game with children. Draw pairs of everyday things that are easily recognisable on the cards. This is a fun way to play with kids and it’s great for their development too! • The leader shows the other players the tray and gives them 20/30 seconds to memorise everything on the tray. • The leader then takes the tray away and removes three things from it. • The leader shows the tray to the players again and they guess which three things are missing. These are real brain-stretchers! They develop ‘lateral thinking skills’ – solving problems in an ‘out of the box’ creative away, by looking at it in a new and unusual light! Here are a few for you to try! A traveler comes to a riverbank with a wolf, a goat, and a head of cabbage. He finds a boat there that can hold himself and one other. How does he get his animals and cabbage across safely? He cannot leave the goat alone with the wolf, for the wolf would eat the goat; and he cannot leave the goat alone with the cabbage, for the goat would eat it. The traveller starts by bringing the goat across. He leaves the animal there and goes back. On the original side, he picks up the wolf (he could also pick up the cabbage), goes across, leaves the wolf on the other side, and goes back with the goat. On the original side he leaves the goat, picks up the cabbage and goes across. He leaves the cabbage safely with the wolf and goes back to pick up the goat on the original side for his last trip across. You are trapped in a room with two doors. One leads to certain death and the other leads to freedom. You don’t know which is which. There are two robots guarding the doors. They will let you choose one door but upon doing so you must go through it. You can, however, ask one robot one question. The problem is one robot always tells the truth, the other always lies and you don’t know which is which. What is the question you ask? Ask one robot what the other robot would say, if it was asked which door was safe. Then go through the other door. Mary’s mum has four children. Mary’s mother’s fourth child was Mary herself. Tell us: What do you like to do to exercise your brain? LoL this brain teasers got me!! !